Every new to-be-mother must know what a Birth Plan is, as it is the most important part of before, during and after planning of the Birthing process. A birth plan is basically a written document that you can give to your medical advisor and team to tell them your preferences and choices regarding the baby’s birth. You cannot control what happens at the time of delivery, but you can stay flexible on certain things. 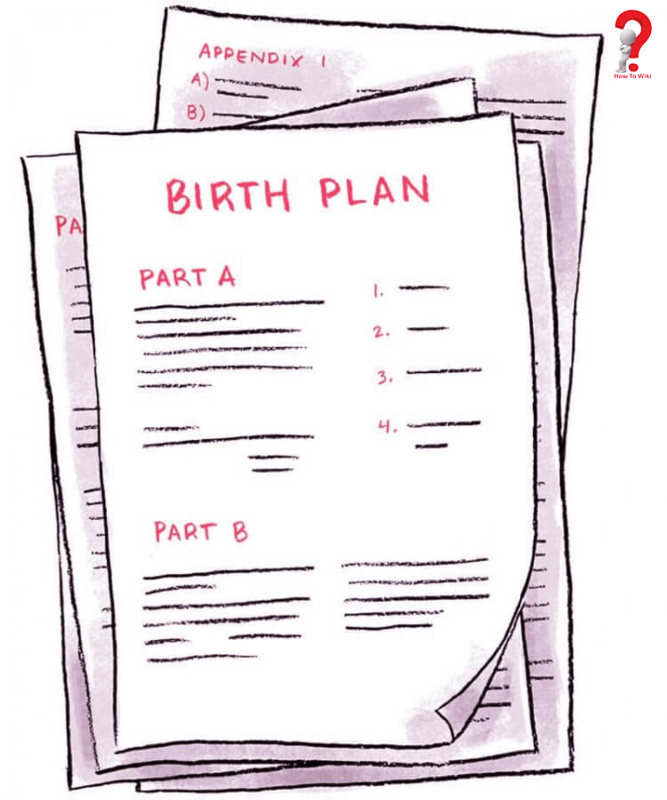 Some hospitals even provide their own Birth Plan Template to fill when you visit them for a routine checkup so that no miscommunication is there. 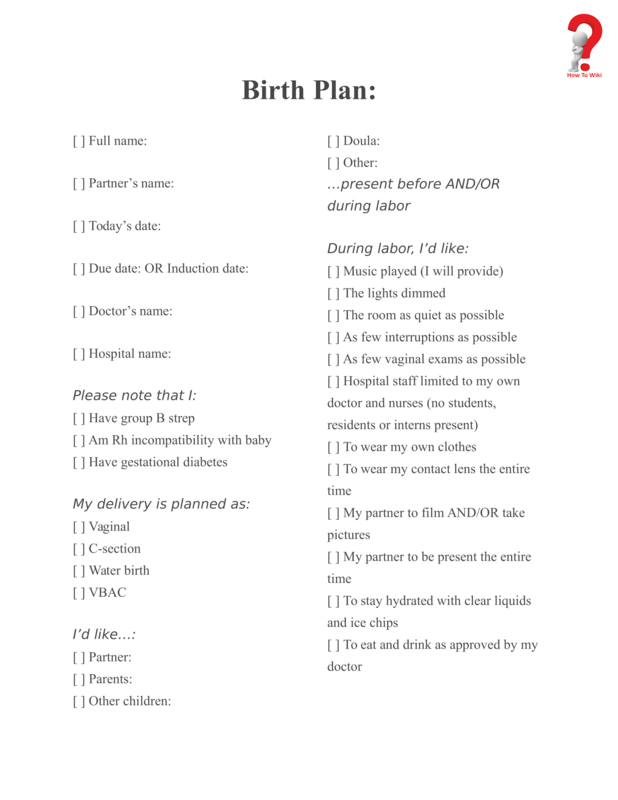 When you write or get a template printed out and filled, the hospital will respect your wishes while you have your baby. Moreover, the birth plan refreshes everything that you told your medical team, such as the nurses and other staff can get to know what things you want when you are in labor, like your husband for instance. 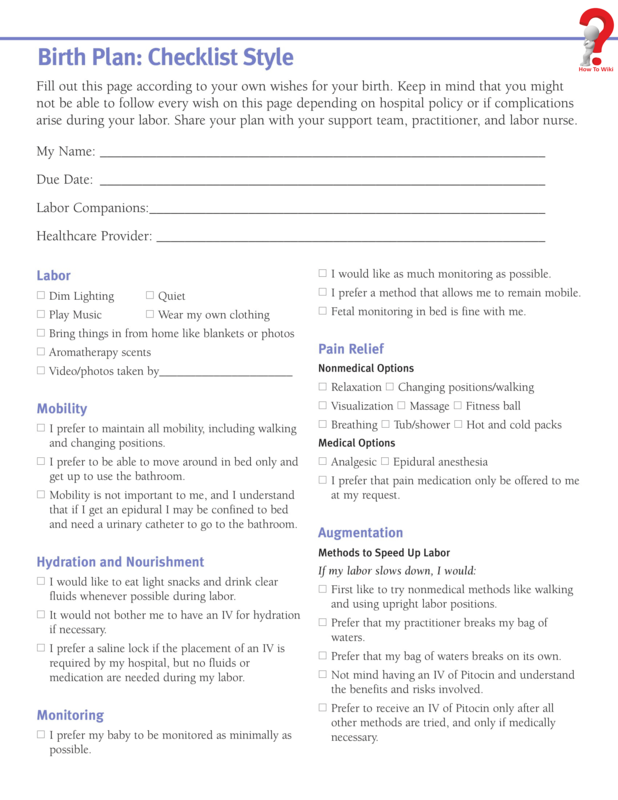 Several credible hospitals ensure that they provide you a birth plan worksheet highlighting the policies and strategies for the birth. You can always make your own birth plan using a birth template for your preferred option for the delivery. This birth plan template could be used by those who want to avoid any C-section or medications while giving birth and want everything to be natural. A simple birth plan includes simple dos and don’ts that the medical team must ensure while delivery, like no use of forceps, no induction unless absolutely necessary and so on. You can opt for the visual birth plan template, which includes all your desires and goals. By making a birth plan, you and your partner are planning ahead, so that the delivery and after delivery time at the hospital goes smoothly without any misunderstandings. A one-page plan includes all the necessary sections that a new mom needs to fill, like what kind of delivery she wants or whether she would like induced labor or not. 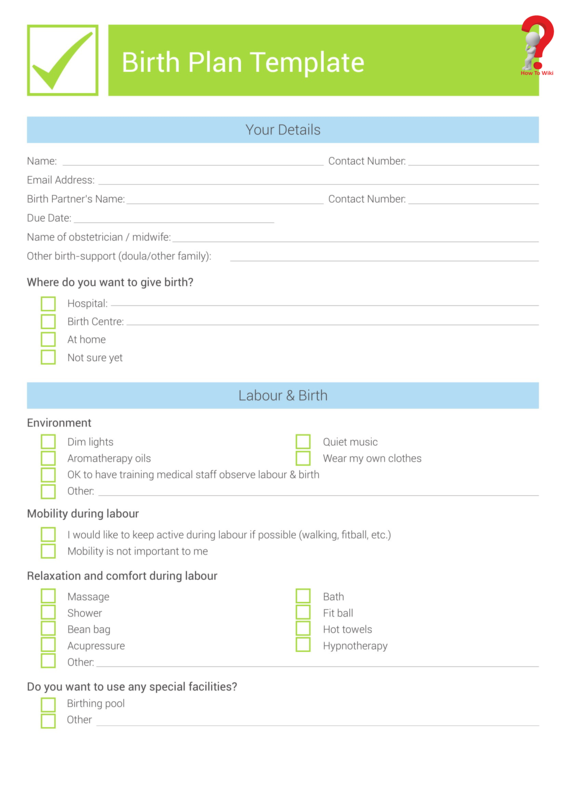 This birth plan template includes all the sections that you can fill up to explain what you need at the time of C section, you can explain what you do not want the medical team to do unless it is of utmost necessity. #1 Birth Place – Normally it would be the hospital, but if you want to consider birthing centers or your home, you can do so. #2 Labor environment – Ladies must include what they want to have in their labor room, they may desire attached bathroom, shower or music player etc. #4 The apparatus used during birthing – What matters most is that the mother and baby must be healthy and to do so, the soon-to-be mother has to be comfortable at every point of the delivery. Planning your birth is not ridiculous at all, even if you hear some nurses or mid-wives laughing at the matter, you must not listen to them. A birth plan is all about you, your baby and your prefernces. Remember to discuss in detail about your preferences with your doctor beforehand so that you will not be making a fuss over anything. We hope that you were able to find the best Birth Plan template for your need, and wish you all the best for your beautiful future.